She has gone through an entire refit and is loking like new. 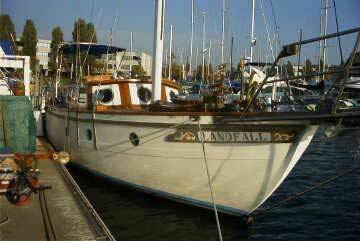 Landfall is hull number one of Ron Amy's Landfall 39 sailboats, made by Sino-American. 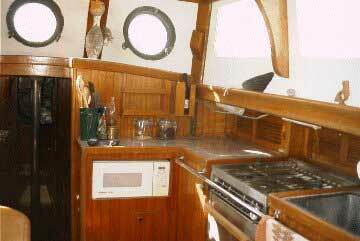 Landfall 39's are very distinctive with their pilothouse, canoe stern and 6 foot bow pulpit, cutter rigged sloop. Landfall 39's measure 39'6" LOD, and a LOA of 45'6". What this means is that they have the sailplan of a 45' boat and yet the ease of handling of a 40' boat. A winning combination. 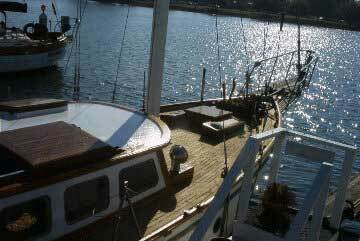 The best place to be under sail is out at the end of the bow pulpit. I have spent many hours out there on autopilot just watching the dolphins have fun. Nighttime with the phosphorescence and dolphins, unbelievably fantastic! 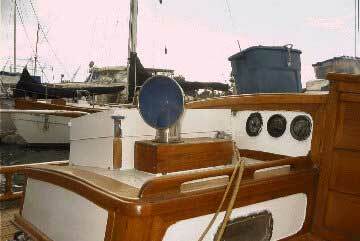 Landfall's original bow pulpit was replaced when I bought her. The Taiwanese stainless steel just didn't last. Her replacement pulpit is made from USA manufactured 316 stainless steel. 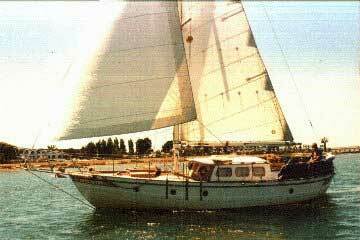 Landfall 39's were built in the mid 70's around the time when fiberglass boats were really starting to take off. At that time nobody really understood exactly how fiberglass worked. So to be certain there was enough.... the thinnest part of the fiberglass hull I have found is around 3/4". Landfall unlike many of her sister ships has never had a single blister anywhere. Landfall's 3 opening bronze portholes were included with the flagship but excluded (cost prohibitive?) on her sisterships. 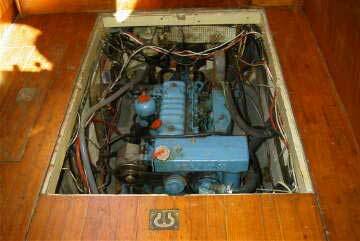 Also her extra large fuel and water tanks (150 gallons each, 2 fuel, 2 water) were designed so that when they had to come out, you could do it without destroying the interior to get to them. Unfortunately this is not the case in most boats or even her sisterships. The Landfall 39 series featured wooden mast and boom. While it added greatly to the traditional look it also added a lot of weight aloft. I purchased a brand new LeFiel aluminum mast and boom. The upside of an aluminum mast include far less weight aloft, no potential rot problems and overall just a lot less maintenance. Over the canoe stern there is what could be referred to as, a radar arch. The radar really sits up on the mast. The arch in back was designed to securely fasten three of Siemans largest solar panels plus a smaller one as well. It also has a wind generator pole and has wires run for the solar panels, wind generator, outside speakers and back up vhf radio. All of this (except the radio) is hidden by the bimini cover which sits just underneath all of the mounts.. 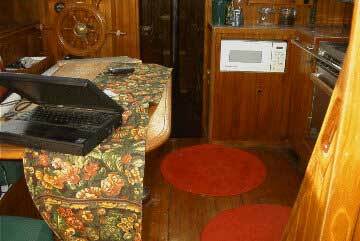 There is an LCD Furuno Radar that will come with the boat. Currently it is not installed.